There´s so much fun to be had at Thorness Bay Holiday Park - the family Park near Cowes with stunning views - a stroll through leafy woodland brings you to the sea. Relax with a drink on the terrace whilst watching the kids on the multi sports court or join in with the fun and games in the indoor pool with waterslide. The superb cabarets and shows for all the family at at Thorness Bay Holiday Park are not to be missed! 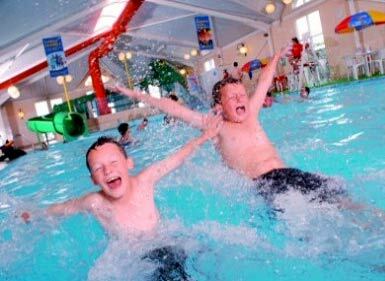 You can look forward to making the most of some great facilities, activities and entertainment at Thorness Bay Holiday Park.